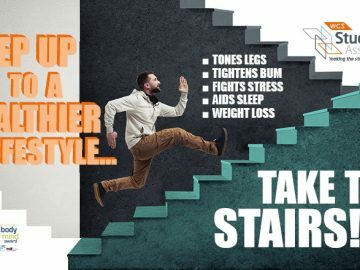 Step up to a healthier lifestyle……take the stairs! 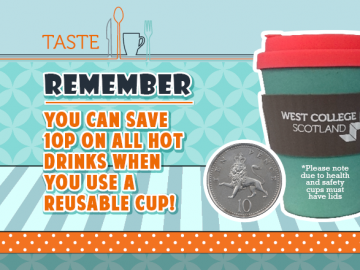 REMEMBER you can save 10p on all hot drinks when you use a reusable cup! West College Scotland have proudly signed the ‘Stand Alone Pledge’ to help support students who are estranged from their family.